Mt. Tabor, N.J. – Carolyn Menz, an account group supervisor and senior marketing strategist for Paradigm Marketing & Design, has been nominated for two ONCON ICON Awards in the categories of Marketing Impact and Marketing Leadership by the Florida-based OnConferences. 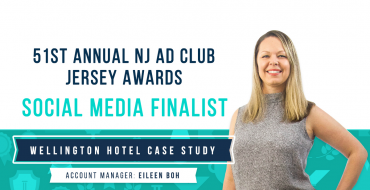 In total, 300 nominees have been acknowledged across three categories – marketing, human resources, and legal – and of those, 30 will be chosen as winners. 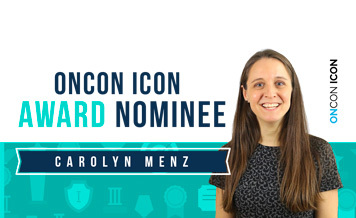 As a nominee, Carolyn has been recognized by her peers as one of the most outstanding Impact and Leadership professionals in the marketing industry and will be considered for both awards by a distinguished jury at the Inaugural ONCON ICON Awards Ceremony on January 19, 2019, in Orlando, Fla., at the Gaylord Palms Resort. To be considered for an ONCON ICON Award, nominees must demonstrate a commitment to excellence in their respective fields, specifically within any of the following areas of distinction: Trailblazer, Impact, Contributor, Leadership, Ripple Effect, and Icon of the Year. For Menz, it is her unique background in math and economics that sets her apart in the marketing sphere. 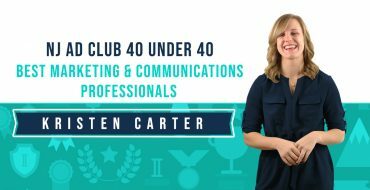 She has built a reputation for her ability to develop and oversee marketing plans that not only meet, but also exceed, the needs of her clients. She, alongside Paradigm’s president and founder, Rachel Durkan, has led the Paradigm team to tremendous growth and success over the last several years. In just the last two years, the agency has tripled in size and expanded many of its marketing efforts. Paradigm is a full-service marketing and design agency. Together with their clients, the Paradigm team is focused on one objective: creating impactful initiatives that help achieve long-term growth. Providing excellence is one of the agency’s core values, and they take tremendous pride in the quality of the work they deliver. The agency’s cross-functional team approach ensures that they’re always working together to drive client success. For more information on OnConferences and their ONCON ICON Awards, visit www.onconferences.com.